HR Knowledge understands the burden and overhead associated with administering continuous and intermittent FMLA leave requests, particularly for small- to mid-sized businesses. Outsourcing this important function to us greatly reduces your costs and liability risk. We offer expert guidance on leave requirements and employee eligibility, handle the administrative tasks associated with absences, and coordinate the leave benefits on behalf of the employer. One of the most common questions we get at HR Knowledge is: “What do I need to do to comply with FMLA?” Let’s face it, FMLA is confusing and complicated, and most employers are out of compliance simply because they don’t fully understand all the components to this federally mandated program. FMLAMatters offers complete administration and compliance for your FMLA program. With a proven track record of success, this cutting-edge program helps you decipher the complexity of FMLA administration, limits your risk, and reduces your workload. HR Knowledge, Inc. works closely with Total Administrative Services Corporation (TASC) and your company to ensure total compliance under FMLA federal law. Administering the various types of FMLA under complex laws and regulations can often be a difficult and time-intensive business for employers, and the penalties of non-compliance are costly. 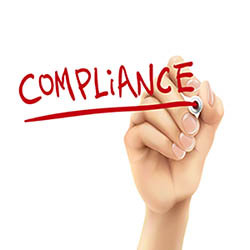 We are stepping in to take the burden off you as an employer and to provide you peace of mind that your FMLA administration is in complete compliance with all federal rules and regulations. FMLAMatters offers paperless administration options for convenient and accessible FMLA information. Our online system offers a secure environment for your FMLA data that is easy-to-use and loaded with functionality. As a client of HR Knowledge and with services provided to you through TASC, you will receive a comprehensive menu of administration services and tools designed to simplify the administrative process for your company and to ensure complete compliance with all federal laws and regulations. If you are interested in learning more about our newest offering, please contact us at: HR@HRKnowledge.com.